← Nikon Announced the Nikon D4 – The DSLR for Professional. Nikon AF-S NIKKOR 85mm f/1.8G Arrives. 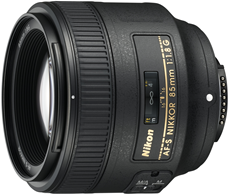 TOKYO – Nikon Corporation is pleased to announce the release of the AF-S NIKKOR 85mm f/1.8G, a fast, medium-telephoto fixed focal length lens with a focal length of 85 mm and a maximum aperture of f/1.8 compatible with the Nikon FX-format. This entry was posted in Brand: Nikon, Photography Articles & Videos, Uncategorized and tagged DSLR, Lens, Nikkor, Nikon, Prime. Bookmark the permalink.